Argentina dove hunting video and pictures. See what high volume means in Argentina. 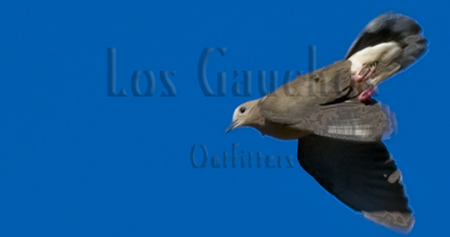 Los Gauchos Outfitters offers dove hunting in Cordoba all year. 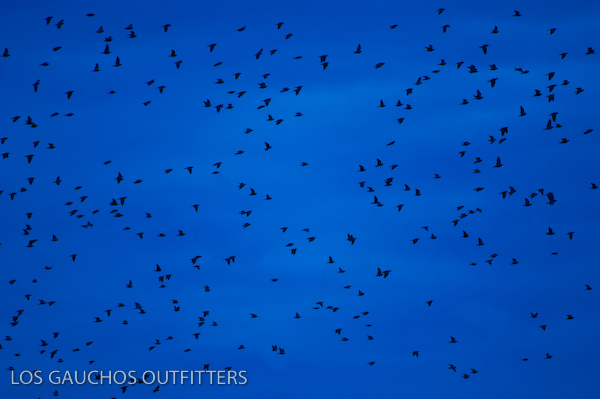 Fly straight to Cordoba - one hour you are in the fields with a sky full of doves..
Argentina hunting video that airs the best of Argentina bird hunting. From ducks to doves and even pigeons and Perdiz. 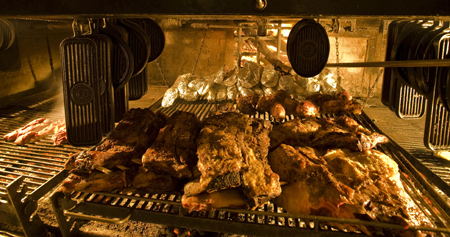 Argentina has it all and the hunting lodges are high quality with food that will make you love Argentina. A hunting trip to Argentina may include a visit to Buenos Aires. This is the famous city famous for fashion, tango, prime steaks, and fine wines. A great city to tour either before or after your Argentina hunting trip. 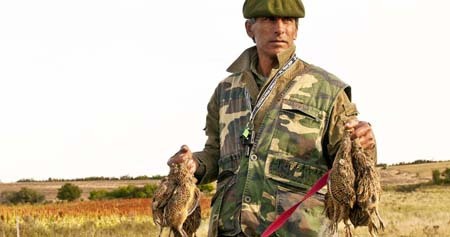 Dove hunting in Argentina is the wing shooting trip for those who just enjoy good hunting. 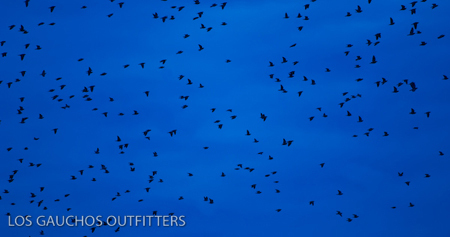 The birds fly all day and all year, always a good time to dove hunt in Argentina. 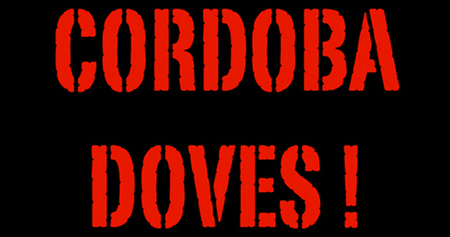 Los Gauchos has several lodges and packages for Argentina dove hunts. Los Gauchos Outfitters Argentina hunting video showcasing the experience of Argentina dining and bird hunting. High volumes - high quality equipment and excellent service with some fine wine and food served daily! Los Gauchos Outfitters is proud of the professional guides that are with you while hunting in Argentina. From giving you some tips to cheering you on for your high volume shoot. These guides work hard to make your trip to Argentina a good one.